WhatsApp fake messages have been causing various crime in India. These messages try to attract people with various offers, lotteries, non-existent government schemes, discounts, freebies, warnings and everything fake. Most of these messages are loaded with viruses which easily slows down the phone. 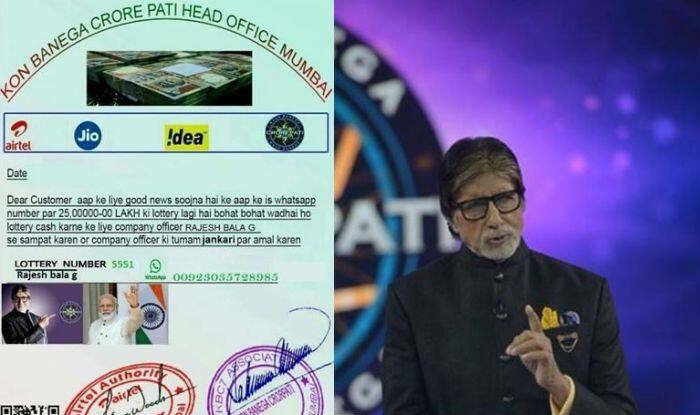 One of the recent messages being forwarded widely on WhatsApp is of Kaun Banega Crorepati offering a lottery ticket of Rs. 25 lakh. A fake message about the popular game show is doing the rounds on the instant messaging app. 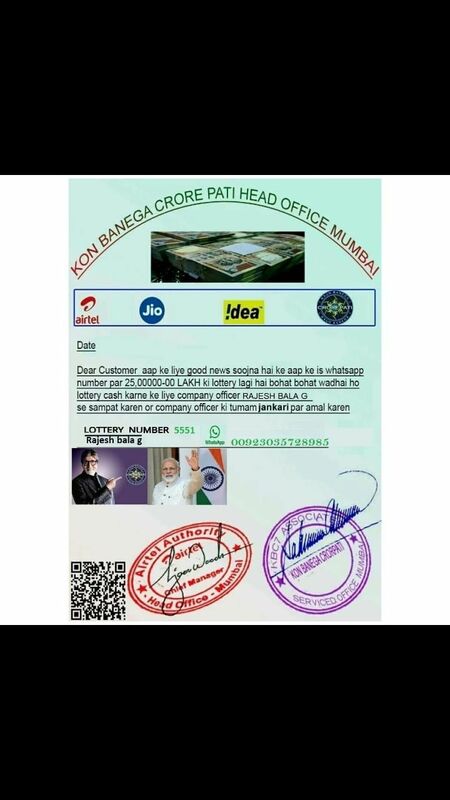 The message says, “Dear customer aap ke liye good news soojna hai ke aap ke is WhatsApp number par 25,00000 ki lotery lagi hai bohat bohat wadhai ho lottery cash ke liye company officer Rajesh Bala G se sampat karen or company officer ki tumam jankari par amal karen”.